I love using an electric pump with my inflatable boards. It makes inflation super easy and fast. I’ve tried several pumps over the years and from what I’ve seen there are really only a few electric pumps on the market that really work well with inflatable stand-up paddleboards and that are able to get them inflated to the proper PSI level. The AWD-HPPB is one of the good ones. 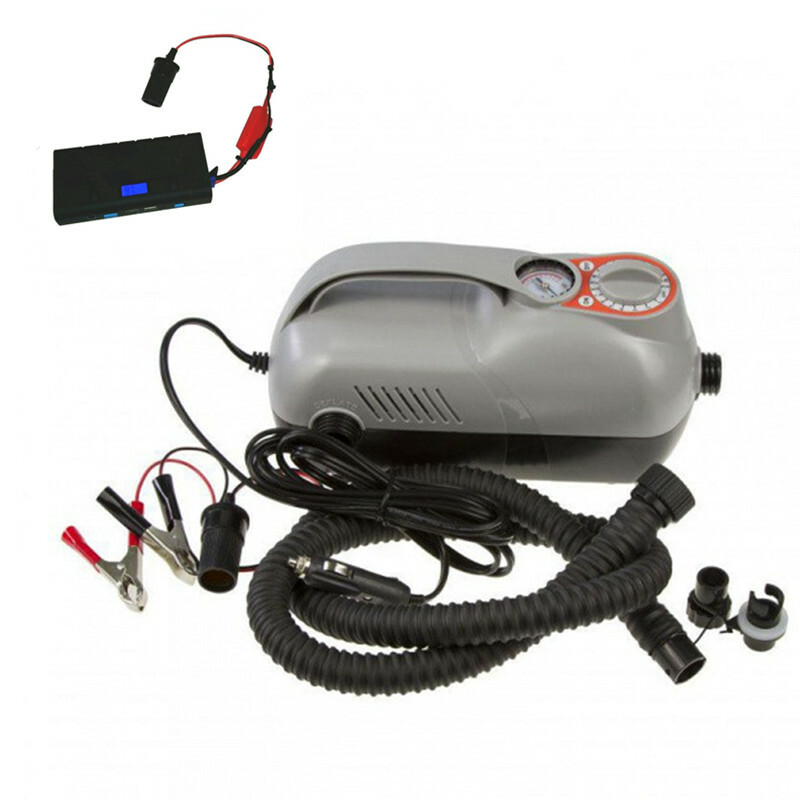 This pump has a 10’ power cord and alligator clips that attach to your vehicle battery as well as a car lighter style plug for 20 amp outlets. I found it to be convenient, lightweight, and very useful. There are a few things that make this pump extremely convenient. It has a carry handle that makes it easy to carry. It comes with interchangeable H-Valve and Boston Valve adapter. Attachments fit securely so you don’t have to hold the hose while your board is inflating. You can attach and walk away. It is capable of inflating up to 20 PSI… that’s higher than most other pumps. I found that the gauge worked well. It has a pressure release valve so that it automatically shuts off when it reaches your desired PSI level so that you don’t over inflate your board. The hose locks securely onto the pump and the valve adapters attach securely to the board so there are no accidental disconnections. The 10’hose gives you lots of room to maneuver. Besides inflatable SUP’s, this pump is also ideal for inflatable kayaks, inflatable boats, pool toys, and other inflatable accessories.